Is a dog a carnivore or a omnivore? Is a dog a carnivore or an omnivore? 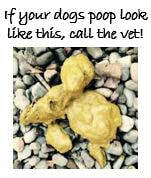 ​​This topic is a rather unpleasant but important one: assessing your dog's poop for signs of a health problem. Myth: Raw-fed animals pose a significant health risk to humans. Yes, there is bacteria in raw meat. Yes, this bacteria can harm you. Yes, this bacteria is sometimes shed in dogs' feces. So if a raw-fed dog licks you, are you going to get sick? ​Daily supplements for healthy companions. Even the best quality diet will not provide optimal wellness if your dog or cat is not digesting and absorbing it properly.